High stakes poker players have a secret weapon. Force more folds when you are bluffing. Induce more calls when you are value betting. Make your hero calls correct more often. So, what is the secret weapon that high stakes pros take advantage of nearly every hand? It’s hand combinations– A.K.A. blockers and the removal effects that come along with having certain cards in your hand. Most of you have heard this term before, but likely in the context of pre-flop. In this article, we’ll examine how considering blockers post-flop can actually make our plays find success more often. To do this, we’ll take a look at a few example hands. Let’s start with the basics to make sure we’re all on the same page. 16 possible hand combinations of every unpaired hand. 12 hand combinations of each unpaired offsuit hand. 6 possible combinations of each pocket pair. As you may have noticed, you are three times more likely to be dealt an offsuit hand than it’s suited counterpart. This is what makes suited hands so valuable. Flushes are very hard to make and even harder to beat. Starting out with a suited hand gives you a great chance to a hand that’s tough to beat that can win a big pot. If you want to quickly reference combos you can use a Hand Matrix program, such as Poker Equilab. At the bottom left of the matrix screen you can check the box which reads “Display # of combos”. Once a hand is highlighted, the number of combinations of that particular hand is displayed in the same box. The number of total hand combinations in the range is displayed under the slider bar as both a fraction and a percentage. In this case, the range contains 74 combinations, or 5.58% of all hands. 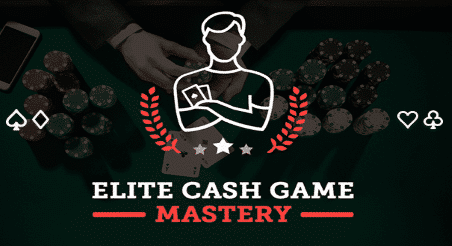 The Poker Lab is a no-limit hold’em training course updated every month with new material. This is what Doug Polk and Ryan Fee would teach their younger selves, if they could send information back in time. This same trick can be used post-flop as well. Now that we’ve added a flop of A-T-5, the total number of hand combinations has fallen to 59, or 5.02% of hands. Why is this important? Let’s demonstrate with some examples. Let’s say a player named Rafi has called pre-flop with the following range. The flop comes T 3 2. Rafi’s range on a flop of T32 two diamonds. We can see an updated version of Rafi’s range, including the combos of each hand. Now, let’s look closer at the removal effects of the cards on this flop. When one of the cards you need to make a certain hand is on the board, making that hand is less likely. This is why making top pair is an unlikely proposition for many ranges. On this board, Rafi has 15 combos of top pair, but 36 combos of no pair at all. This means that 29% of his unpaired hands have now hit top pair. Using this method can help you make better decisions by narrowing down your opponent’s range. Rafi’s range will have a diamond flush draw with 9 combos of the 93 hands that make it to this flop. Since the T is a diamond this range will make a flush draw a bit less often than otherwise. If the two lower cards were diamonds, there would be an extra 5 combinations of flush draws (AT-T9) bringing the total to 14 combinations. That’s roughly 15% of hands, a 50% increase! Certain diamond turn cards can drastically cut Rafi’s possible combinations of flushes. If the turn was the J, this range would have 5 combinations of flushes in a range containing 89 hands, or about 6% flushes. This is because four of Rafi’s flush draws from the flop contained the J. If the turn was the 4, Rafi’s chance of having a flush would rise to 10% (9 of 90 hands), which is nearly a 2x increase from the J! 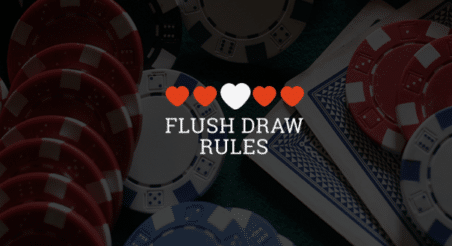 Watch out for flush cards with dramatic range impacts like the J above, and try to take advantage of the situation when they hit the felt. One reason sets are so valuable is because of how unlikely they are to occur. The 3 and 2 are on the flop, which means that Rafi’s range has made a set with two of his pre-flop hands (33 and 22). With one of each card on the flop, the number of combinations for 33 and 22 are cut in half (from 6 combinations to 3). Knowing how hard it is to have a set in a situation is very useful when you have top pair against someone who is representing a set. In this instance, say Rafi raises the flop vs our c-bet with the above range. If the only hands he would raise for value are 33 and 22, but he would also mix in some bluffs with 44, his range contains 50% value-bets and 50% bluffs. If we c-bet $75 into $100 and they raise to $225, we would need 27% equity to call based on our pot odds. Let’s calculate our equity with an overpair (JJ) against Rafi’s estimated raise range of 44, 33 and 22. Our overpair has 49.17% equity here. That’s enough to make this a very clear flop call. Now, let’s talk about how to use hand combinations to your advantage when bluffing. Effectively using blockers is a very powerful tool when selecting hands to use as bluffs, pre-flop and post-flop. If we select hands with the right blockers, we can lower the likelihood our opponent will continue. folds to btn. Hero raises. BB calls. BB checks. Hero bets. BB calls. BB checks. We Bet. BB calls. BB checks – which hands should Hero bet with? To answer this question, we need to have a rough idea of the button’s RFI range and the BB’s calling range. 44.19% button open raising range. On this board, which runs out AT722, deciding which hands we can value bet for three streets from the button is relatively easy (AJ or better). These strong value hands are displayed in dark green and total 63 combinations. By balancing our range with both value hands and bluffs, we limit our opponent’s ability to exploit us and we become much tougher to play against. If we choose to bluff with hands that block those which our opponent will check/call, we can actually increase the success rate of our bluff. 44.19% button opening range with good river bluffing hands highlighted in pink. These hands block a number of our opponent’s Ax top pair combinations that will definitely call multiple streets. For instance, if we choose to bluff with J9, there are ten fewer combinations of AJ and A9 in our opponent’s range. These hands perform well as bluffs because of their ability to make very strong holdings by the river. J9, J8 and 98 are all able to turn the nuts on A-T-7 whilst still blocking hands in our opponent’s calling range. While not always necessary, we can also use combinatorics to make sure our range is well-balanced and unexploitable. In the above example, let’s say we bet the full size of the pot on the river (with both our value hands and bluffs), which means our opponent is being offered 2-to-1 pot odds. That means our range needs to consist of two value combos for every one bluff in order to remain unexploitable. Given that our value range consists of 63 combinations, our bluffing range should consist of 31.5 combinations in order to be perfectly balanced in this spot (approximating is fine). The bluffs highlighted in pink above total 52 combinations, which means we will have to give up with around 20 of them to remain balanced. Remember, in practice, remaining perfectly balanced is not necessary (especially at low stakes). So, don’t sweat nailing the exact numbers of combos, just try to be close. Using blockers to construct your bluffing ranges is the best way to ensure that your bluffs will be as successful as possible. Remember, if your hand blocks a number of combinations in your opponent’s calling range and has little showdown value, it is probably a good hand to include in your bluffing range. As you just learned, hand combinations play an enormous role in poker strategy and it’s pretty clear why pros use them almost every hand. On the most fundamental level, they conjoin with ranges and math to make up solid, winning poker strategy. Thinking through each hand and carefully considering the hand combinations of your opponent will make the right decision in tough spots more clear. Back to the top of Hand Combinations – The Secret Weapon Pros Use to Win More Money.